Grab Bars Make the Bathroom Safer for Everyone! Older adults are not the only ones who need to worry about falling in the bathtub or shower. You might be surprised to learn that half of the emergency room visits due to fall-related injuries in the shower are from children. Whether young or old, having a good place to hold onto in a wet, slippery environment makes good, practical sense. Gone are the days when grab bars are relegated to being institutional-looking eyesores fixed to the bathroom wall! Grab bars now come in a variety of styles, finishes and colors ranging from simple, straight stainless steel models to ones that dual as decorative towel bars, soap racks and shelves. We have provided a quick overview of the different types of grab bars and support rails below to aid you in identifying which type will best work for you. As the name implies, this is a straight bar that gets fixed to the wall. It can be installed horizontally, vertically, or at an angle to provide a secure, sturdy surface anywhere you feel you need an extra handhold in the home. 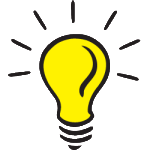 They are oftentimes found installed on the wall inside a bathtub or shower stall; on the wall beside the toilet, or on the wall next to a step that is located inside of the home or at the entrance to the home. The wave-style grab bar has a simple yet elegant design that is both functional and aesthetically pleasing. It is another variation of the straight grab bar with a more playful appearance to add an artistic element in the bathroom, living room, hallway, or stairway. Like the straight grab bars, this type of grab bar can be installed on a sturdy surface nearly anywhere in the home you feel you feel you would benefit from an extra handhold. Gone are the days when grab bars are relegated to being institutional-looking eyesores fixed to the bathroom wall! Modern grab bars are being cleverly designed to blend seamlessly into the surrounding environment, making them invisible to unsuspecting eyes. Accent grab bar rings are designed to elegantly frame the shower valve, functioning to provide a steady hand hold for enhancing the safety and independence of those who are bathing. Grab bar toilet paper holders dual as both a grab bar and a toilet paper holder, uniting both of these concepts neatly together in one. Multi-purpose grab bars make it possible to smartly and stylishly integrate a grab bar into an existing space. If you have difficulty with sensation or strength in your hands, make sure to take into consideration how the toilet paper is loaded and unloaded from the holder, when selecting a grab bar toilet paper holder. Grab Bars with a soap dish incorporated into the design function to hold the soap and provide a stable handhold too. These dual-use grab bars blend style and safety skillfully together in one. 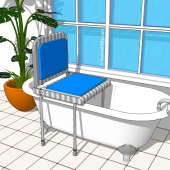 It can be installed at a higher level for support when stepping in and out of the bathtub or shower, or lower for use in pushing or pulling yourself up from a bath seat. Grab bar shelves have been created to blend invisibly into a room. Most people who view them will be none the wiser that a grab bar is even present. Some grab bar shelf models have been designed to nestle into the corner of the shower and are helpful for holding soap and shampoo bottles, while others are bigger and are used for storing towels and other large items. A grab bar towel rack provides a safe handhold for users of all ages! Who hasn’t found themselves reaching out to hold onto a towel bar for support at one time or another? It is great design practice to always ensure all towel racks are rated to dual as grab bars as well to prevent the likelihood of you (or one of your guests) yanking the towel rack off the wall. The Grab Bar Towel Rack models with a single bar will be much safer and sturdier than using a traditional towel rack for support. The safest models are ones which have two bars, with the lower rung for holding the towel and an upper bar that remains open (free of towels) for a user to safely grasp. Realistically, many people both young and old will instinctually reach out and use a shower slide bar for support because it looks like a handle attached to the wall. The majority of slide bars for holding the showerhead, however, are not designed to be used for support. Some select shower slide bar models have been specially designed to dual as a grab bar as well, providing a sturdy handhold that bathers can use to steady themselves when stepping in and out of the bathtub or shower, or when leaning down to wash legs and feet. This type of grab bar clamps onto the wall of the bathtub, providing a helpful handhold to use when stepping in and out of the tub. It does not require any drilling or formal installation. Installation usually entails simply turning a dial until the clamp clasps the wall tight enough to hold the bar in place. Confirm the model you select is suitable for the material your tub is made out of and the width of your tub wall, prior to ordering. Manufacturers recommend to periodically retighten the clamping mechanism because it may loosen its grip over time. This type of grab bar is primarily intended to provide support when stepping in and out of the tub. 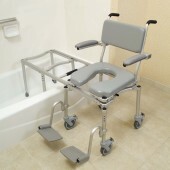 It is not intended to be used as support with standing up from a bath seat or getting up from the floor of the tub. It may detach from the tub wall if it is pulled sideways. If circumstances permit, it is ideal to use this type of grab bar in conjunction with other safety rails that are permanently attached to the wall. Flip-up style grab bars have a hinge, allowing them to be flipped up out of the way when not in use and flipped down when they are needed. One or two flip-up style grab bars are often installed on either side of the toilet to be used for support when sitting down and standing up from the toilet. 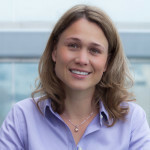 They may also be installed and used to assist with stepping in and out of a tub or shower stall, getting in and out of bed, or for assist with getting up from a couch or chair. Some models are designed to be attached directly to the wall and others have a base that attaches to the floor instead. A few models are equipped with a support leg that extends down to the floor to provide additional stability and some models include a toilet paper holder too. Swing out style grab bars (aka Hinged Grab Bars, Swing Away Grab Bar, Pivoting Grab Bar, Standing Mobility Aid) provide a multitude of handholds at differing heights, allowing them to be used for a variety of functions. They have both stationary grab bars, as well as a pivoting bar, which swings sideways and can be locked at various angles. This type of safety rail is often found installed on the wall opposite the toilet to provide assistance with lowering down onto the toilet and pulling oneself back up again. They are also installed on the wall next to the tub for use with stepping in and out of the bathtub, sitting down and standing up from a bath seat, or for support when lowering oneself down into and getting back up from the bottom of the bathtub. They can be used in other parts of the home as well, such as near a bed, couch or chair. When not in use, most of the wall-mounted models can be folded flat against the wall. Floor to Ceiling Poles (aka Security Pole, Transfer Pole, Safety Pole, Standing Pole) make it easier to stand up from a couch, bed, or toilet and can provide a helpful handhold to steady oneself when stepping in and out of a bathtub or shower stall. They do not require screws, nails, fasteners, or formal installation. The pole is held in place by tension, which is applied by turning a jackscrew mechanism until the pole extends to a length that is sufficient to apply enough pressure between the floor and ceiling to hold it firmly fixed in place. Most models are equipped with pads at either end, which prevent the pole from marring the floor or ceiling. Models will vary in their maximum achievable heights and weight limits. Some models can accomodate ceiling heights up to 140″ high and some bariatric models can accomodate weights of up to 450lbs. At this time, there are models available in white or black. As the name implies these grab bars attach to the wall and the floor. The grab bar is L-shaped bar and it extends out from the wall and bends 90 degrees to meet the floor below. This type of safety rail is most often installed on one or both sides of a toilet and used for support with sitting down on and standing up from the toilet. Since users will not always push straight up on the bars and may have a tendency to push outwards as well as upwards, the models with a second small support leg attached to the floor can help to provide added stability. On some models, the part that meets the floor may extend outwards further into the room than your toilet bowl, occupying valuable floor space, which could impeded your ability to move and turn around inside the bathroom using a walker or wheelchair, if your bathroom is small. Angled grab bars have a horizontal grab bar and a second bar that extends upwards at an angle (aka Vertical Angle Grab Bars, 135 Degree Grab Bars, Wedge Grab Bars, & Boomerang Grab Bars). They provide users with a variety of different handholds. This type of grab bar is often located on the wall beside a bath seat or next to a toilet, providing a user with a horizontal bar to push up from or the vertical part to pull on to assist with rising from the toilet or bath seat. When installed in a wet area, such as a shower, the models with a textured finish or a grip pad attached to the underside of the bar help maximize a user’s grip and prevent hands from slipping down the angled bar when it is wet. These types of grab bar are L-shaped and designed to be fixed to one wall (aka vertical angle grab bar). They provide users with both a vertical and horizontal grab bar in one. A 90-degree, L-shaped grab bar can often be found found fixed to the front wall of a shower or bathtub, so the vertical part can be used when stepping in and out of the tub or shower and the horizontal part can be to steady oneself once inside the bathtub or shower stall. This type of grab bar may also be found positioned on the wall beside a bath seat, providing a seated bather with the option to use the horizontal bar to push up from or the vertical bar to pull themselves up to standing. Another place it may be used is the wall across from a toilet, providing different handholds (vertical and horizontal) to assist a person with sitting down and standing up from the toilet. 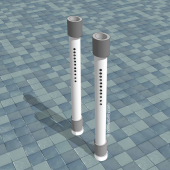 Models are available with different lengths for the vertical and horizontal bars. Like the previous one, this is also an L-shaped, 90 degree angle grab bar. The difference is the attachment points. This one has attachment points that allow it to be fixed horizontally in the corner between two walls, versus fixed to only one wall as is the case with the previous option. This type of grab bar is typically installed in the corner of a bathtub or shower stall. It may also be used in the corner behind a toilet, proving a wheelchair user with more handhold options to use when transitioning on and off the toilet. A trapeze-style support bar is yet another option for adding a handhold in a place where one is otherwise unlikely to be. It is often installed beside or over a bed for use with rolling, repositioning oneself, lifting hips for a caregiver to assist with toileting needs, transitioning from lying to sitting, or for getting in and out of bed. Some people also find it helpful when used in conjunction with a vertical safety pole for assist with standing up from a couch, chair, or toilet. Powerful suction cup grab bars are an alternative to permanently installed grab bars. Most require simply placing them against the wall and pushing levers to activate the suction cups. Suction cup grab bars work best on smooth, clean, non-porous surfaces. Most will not adhere well (or at all) to walls with tile grout lines. This type of grab bar can be used for balance assist, but should not be used to support full body weight. Manufacturers recommend that the grab bars be periodically removed and reapplied to reactivate the suction cup vaccum because over time the suction cups can loose suction, reducing their holding power. Extreme temperatures, such as those found in a sauna room, can also reduce the suction cup power. Some models have a safety indicator warning that can visually or tactilely cue a user when it is time to remove and reapply the suction cups. 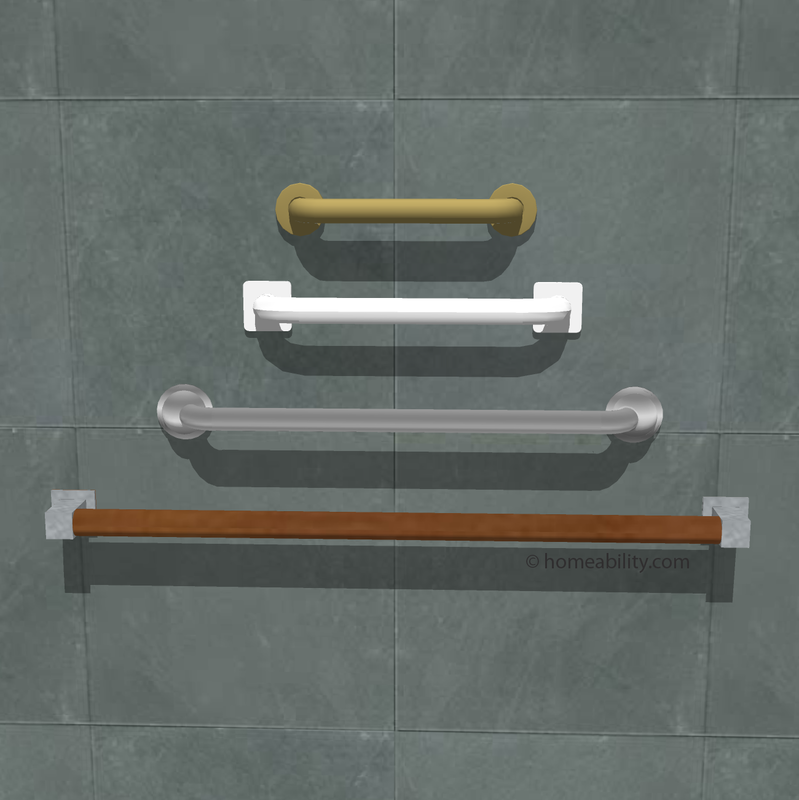 Grab bars are available in a diverse array of colors, making it possible to find one to match all types of home decors. Some manufactures will even provide custom powder coating services, allowing you to choose nearly any color you desire. Persons with visual deficits may opt to select a grab bar in a color that contrasts with the walls to make it easier to see and therefore grasp. Contemporary grab bars can provide decorative accents throughout your home, enhancing safety and independence without sacrificing style. They are available in a multitude of shapes, finishes, and style from antique to modern sleek. Modern grab bars have even been described as “jewelry for the bathroom”. Grab bars (aka Support Bars, Safety Rails, Grab Handles, Handicap Bars) are installed in bathrooms to increase the safety and independence of individuals when getting in and out of a shower or bathtub or on and off the toilet. They can also be helpful in other areas of the home to provide a secure handhold when stepping up and down a step, getting in and out of bed, or sitting down and standing up from a couch or chair. Help someone to pull or push themselves into a different position, such as from sitting to standing, or to assist with scooting from one surface to another. 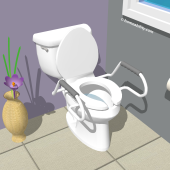 Help someone to stabilize themselves while seated on a toilet or a shower seat. Help someone to stabilize themselves while stepping up or down a step. Enhance Safety in the shower. Regardless of age or ability level having a good place to hold onto in a wet, slippery environment just makes good, practical sense! All fixtures in the bathroom should ideally be rated to dual as grab bars as well, because let’s be honest – everyone reaches out to use standard towel bars for balance when they are bending down to remove pants or to dry feet. People also grasp the handle on soap dishes that are recessed in the shower wall when they are trying to get up from the bottom of the tub. Taller persons and people with arthritic knees will rely on anything that is available nearby to help push or pull themselves up from the toilet. So, with this in mind, it is wise for all the items in the bathroom that people can and will grab onto to dual as a grab bar as well, which would include: the towel racks, soap dishes, toilet paper holders and the slide bars that hold the showerhead. Generally speaking, the longer the grab bar the better because there is more gripping area to use from a variety of positions. If the grab bar will be installed in a wet area, such as a bathtub or shower stall, select one with a no-slip surface to prevent hands from slipping off the bar when wet. Textured grab bar surfaces include brushed, peened, rippled, diamond finish, or grip pads. Last, but not least, all grab bars should be installed by a professional installer to ensure the bar is secured in a secure manner to a sufficiently stable surface. Unsure which type is best? Hire an Occupational Therapist who specializes in home modifications to determine what length and mounting height are best for your specific needs. A Curbless Shower – A Great Age-Proof Bathing Solution!